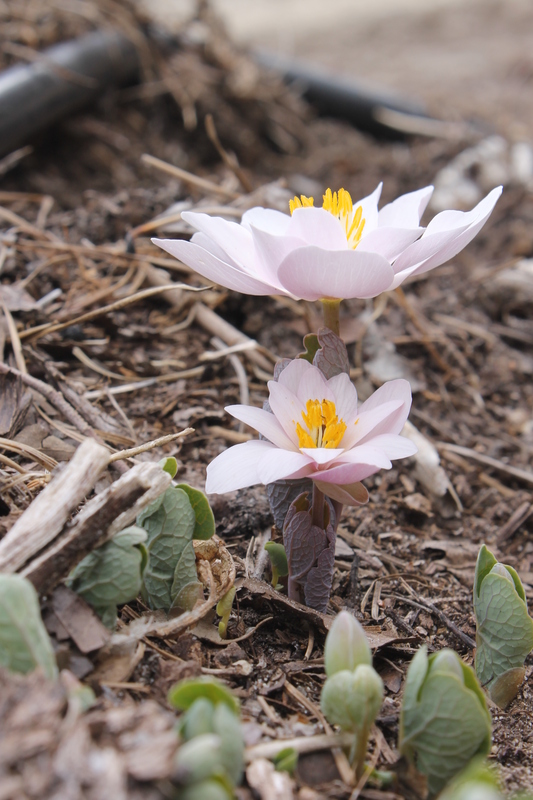 We just snapped this photo of a blush pink-flowered bloodroot seedling in our trial beds, that originated from a pink-tinged plant we found in the mountains of Virginia many years ago. The new leaf, flower bud, and outer petals are pink, while the center is almost pure white. Perhaps one day, we’ll have enough to share. I would love to have one! Live my white one which is blooming now.